Fitness is a multi-billion dollar industry, and everyone wants to get a piece of the pie. Most of us already know which food brands base their advertising campaigns on blatant lies, just in order to ride the fitness hype wave. Nutritionists turn their head the other way when they see shelves full of false “healthy” products. Fruit yogurts, “sugar-free” or “real fruit” juices, nutritionally very poor cereals and dairy products with reduced fat content. Most of these foods cause more harm than good. You will be surprised at how many products are being sold as “healthy” when they actually aren’t. Certain foods are very beneficial for the body, but contain a lot of calories. Even if you seem to be eating healthy, you may end up with some unwanted fat around your belly. I present you the list of foods that are healthy or disguised as “healthy”, but are stopping you from losing weight! Oatmeal is considered to be a very nutritious and balanced meal. 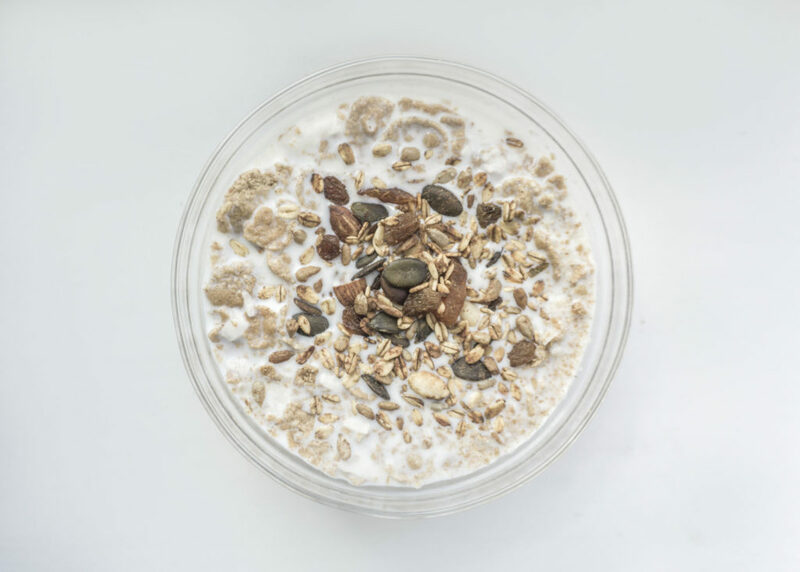 It’s great for breakfast, because it contains high proportion of fiber and healthy nutrients. But not every oatmeal is the same! Instant oatmeal with added flavors such as cinnamon, maple, brown sugar etc. seems very healthy and is being advertised as healthy. However, compared to regular oatmeal, they all have significantly higher content of sugar and sodium. So if you decide to go for an instant oatmeal, choose the ones with 6% or less sugar and 140ml or less sodium content. Everything above that isn’t healthy. Instant oatmeal has an astonishing ~400 calories per serving. That’s almost like a main dish. My suggestion is to always avoid anything that has instant label on it. Go for the regular oatmeal, and add some yogurt and fresh fruits. It’s a much healthier and less caloric alternative. 100 grams of trail mix has a staggering 462 calories. Don’t get me wrong, dried fruits are very healthy. 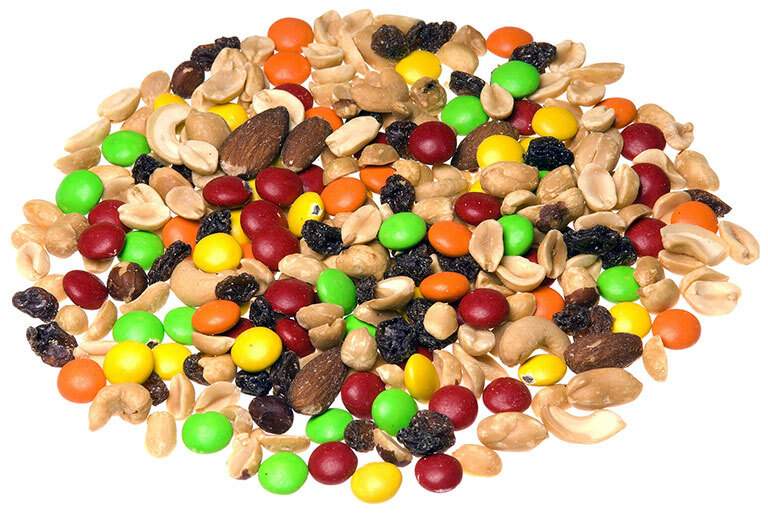 One portion of trail mix contains numerous vitamins, minerals, nutrients and antioxidants that will strengthen your body. However, it’s not a very “weight loss friendly” food as it contains extra sugars. Therefore, I suggest that you opt for fresh fruit while having dried fruit in limited quantities. Yogurt, especially the Greek one, is a very healthy food full of nutrients and probiotics. Especially the ones with extra fruits and flavors. But our goal here is to burn that belly! 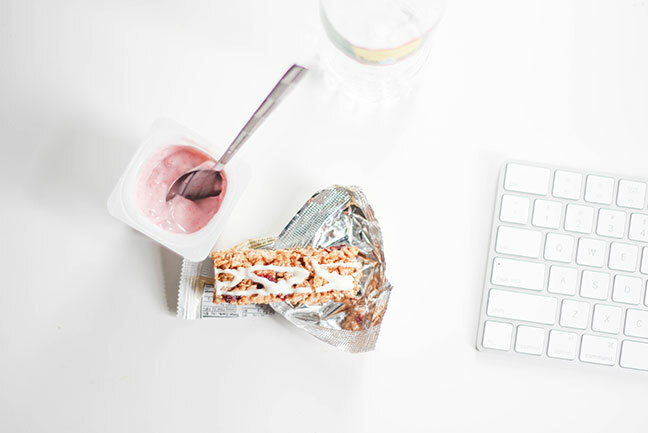 In order to lose weight and maintain slim shape, ditch the flavored and go for the plain yogurt. Add some freshly chopped fruit, chia seeds for a healthier and more “weight loss” friendly alternative. Plain yogurt contains only about 16 grams of sugar, which is half of the recommended daily intake. Another “instant” calorie packed product. Canned smoothies, because of added sugar, usually contains much more calories than regular home made smoothies. Yes it has a lot of beneficial nutrients, however some manufacturers go so far and use fruit-based syrup additives instead of real fruit. 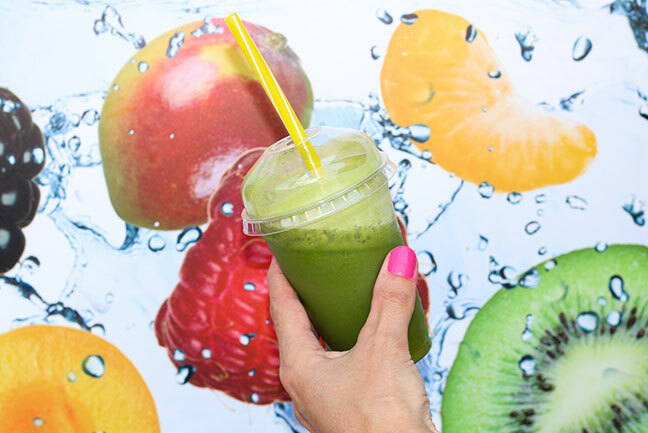 Some smoothies have over 1,000 calories, 30 grams of fat and 15 to even 100 grams of extra added sugar. Read the labels carefully to understand what you’re drinking. Instead, I suggest that you make your own smoothies. Buy yourself a blender and some fresh fruits or vegetables. Have full control of what you put in. Tuna is extremely good for building muscles, as it contains 30% proteins. With only ~200 calories per 100 grams it’s one of the most popular foods among bodybuilders. But have you tried it plain? To flavor it up, we add mayo, sauces etc. Only one spoon of mayonnaise, for example, adds 10 grams of fat and 90 grams of extra calories to your meal. Therefore, choose diet mayo instead. If you are making a sandwich, use one slice of bread instead of double. The best option, of course, is to mix tuna with green salad. 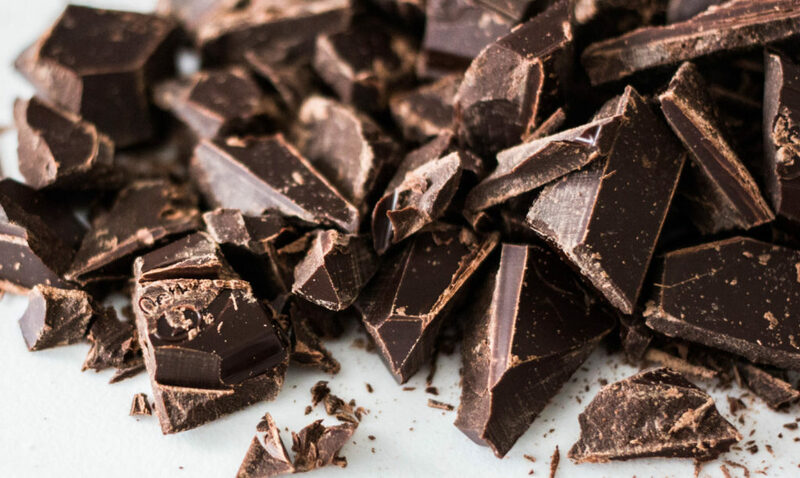 Black chocolate is considered to be a superfood. With high percentage of cocoa it contains polyphenols, a compound that lowers the blood pressure. It also contains high percentages of iron (11.9 mg per 100 g) and magnesium (228 mg per 100 g). However, before you include black chocolate into your daily diet, be aware of the fact that it also contains saturated fats and sugars. 100 grams of black chocolate contains around 600 calories. Now I know that if you’re on a quest to lose weight, that you won’t eat all 100 grams. However, even a tiny piece contains a lot of calories since it doesn’t provide any sense of satiety. So be sure to eat black chocolate in limited quantities. One small piece a day max! The same goes for energy bars. They also contain fats and sugars, so choose the ones that contain low sugar amounts. 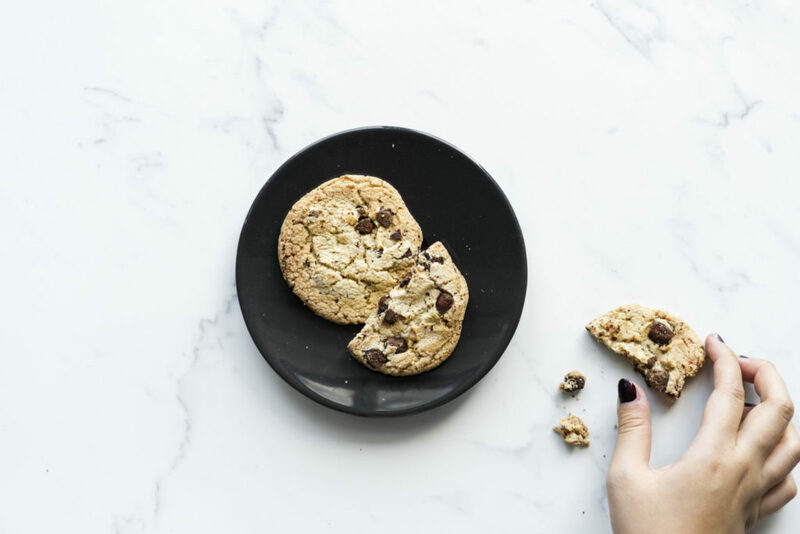 In terms of energy value, wellness cookies have no less calories than ordinary cookies. The only difference is that so called “wellness cookies” have higher fiber contents, which promotes sense of satiety. I recommend that you opt for fiber from natural sources such as apples, bananas, oranges, strawberries etc. According to latest studies, artificial sweeteners may be associated with long-term weight gain and increased risk of obesity, diabetes, high blood pressure and heart disease. 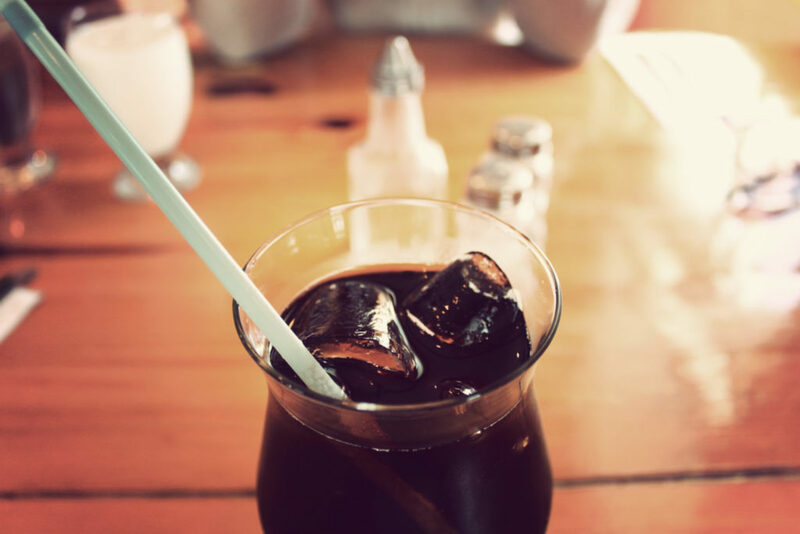 At first, artificial sweeteners seemed to be a great alternative to high caloric processed sugar. Luckily there is a more healthier natural alternative. Stevia is a sugar substitute without energy value. Yes it has 0 calories! And it’s about 100 to 300 times sweeter than sugar. Choose foods and drinks that have stevia instead of artificial sweeteners such as cyclamate or aspartame. 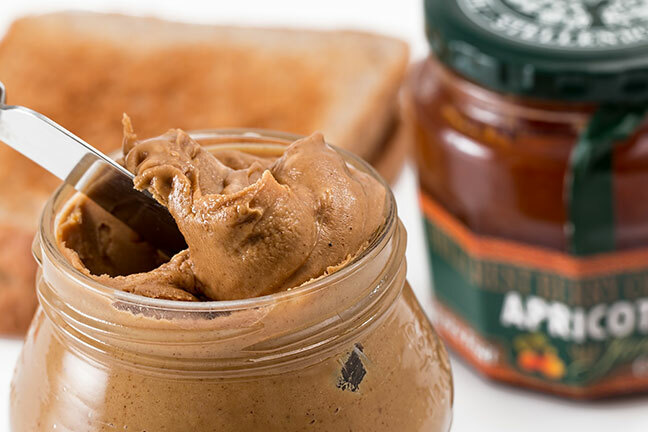 Peanuts and peanut butter contains “good” healthy fats. However, it contains almost as much calories as Nutella. Because of it’s high nutritional value it shouldn’t be totally discarded, just use it in moderate quantities. Low-fat peanut butter usually has the same caloric value as regular peanut butter, due to the added sugar that replaces that lack of fat. Don’t throw your money away. Buy a real peanut butter, without any extras, and enjoy it moderately. People assume that low-fat dressings will save them from getting extra calories. The fact is that diet salad dressings contain almost the same amount of calories as regular ones. 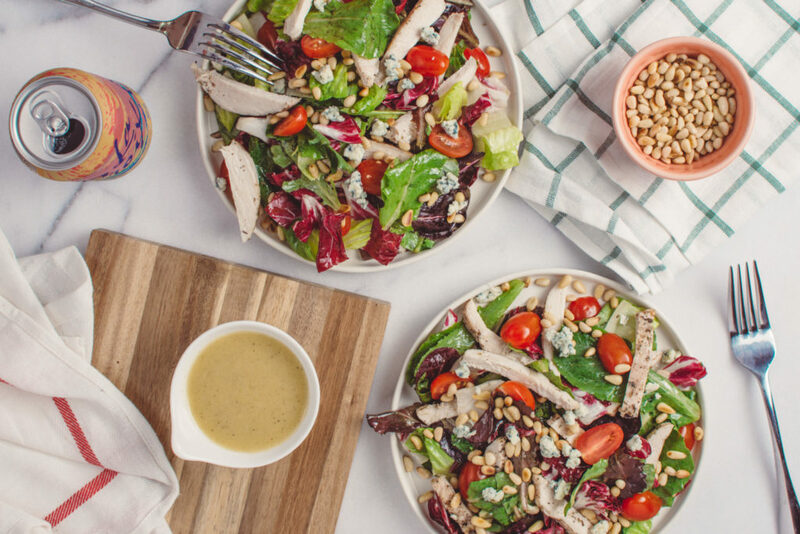 Adding dressing to a salad is a a BIG no, no! This is because, apart from extra added sugar, preservatives and salt, it also contains the “wrong” kind of fat that blocks the absorption of good nutrients. Imagine throwing away all those healthy nutrients from a delicious green vegetable salad. Our bodies need the right kind of fat in order to absorb nutrients from vegetables. So make your own home-made salad dressing with healthy fats such as extra virgin olive oil or coconut oil. 100 grams of pop corn contains ~375 calories. Have you ever put on a movie or walked into a movie theater and you’re immediately craving popcorn? This snack has gained in popularity over the past few years because it’s promoted as a strong antioxidant. While that’s most certainly true, it’s a caloric BOMB! 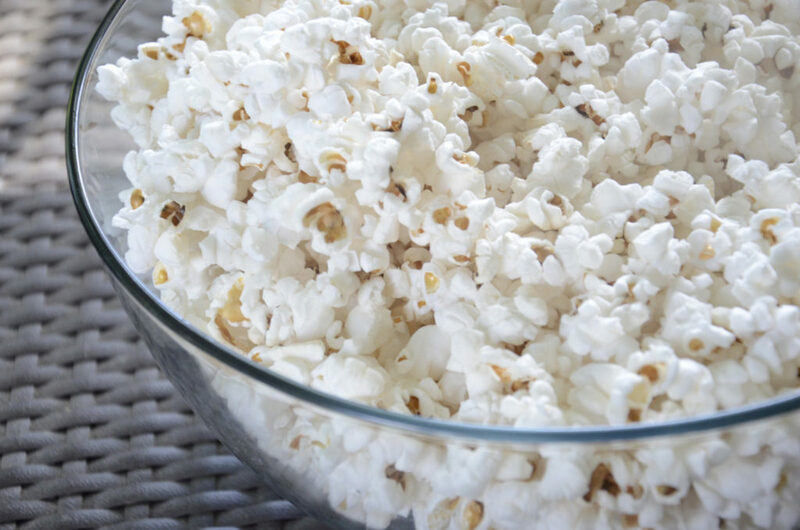 Did you know that the average small movie popcorn with “buttery” topping has about 600 calories?! If you are able to eat a whole bag of popcorn all by yourself, then it’s very likely that you will exceed your daily limit. 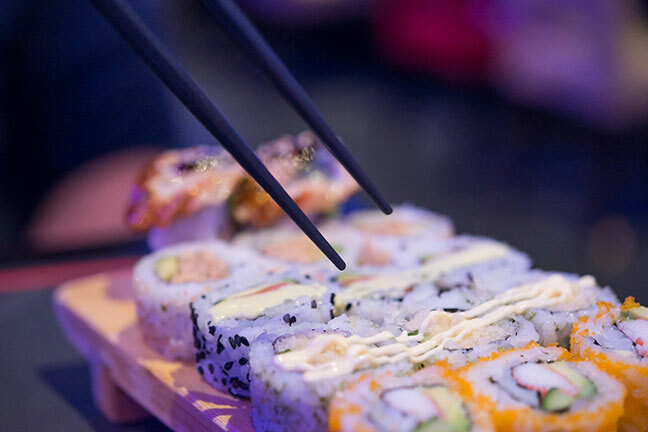 Despite having high energy value, it also contains high levels of sodium, which can negatively affect blood pressure. Hmm…so what can I eat? Keep in mind that a lot of foods from this list contain healthy nutrients. You can and SHOULD still eat them, just in moderate quantities. 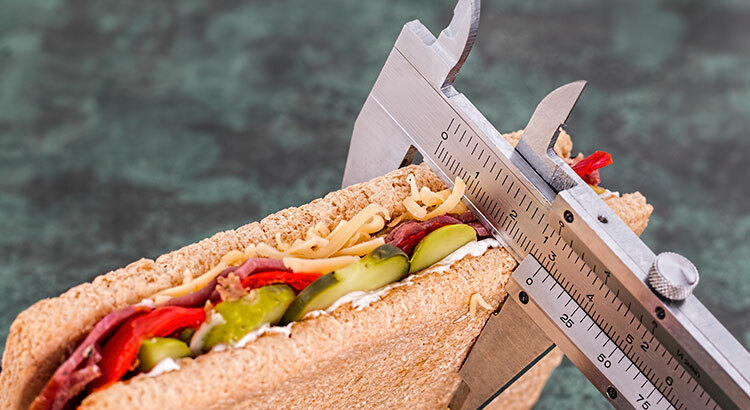 The purpose of this article is to turn your attention to caloric values of healthy foods. Because that might be the main reason why you still have that muffin top on your belly. Avoid processed food and everything that has word “instant” or “wellness” written on it.